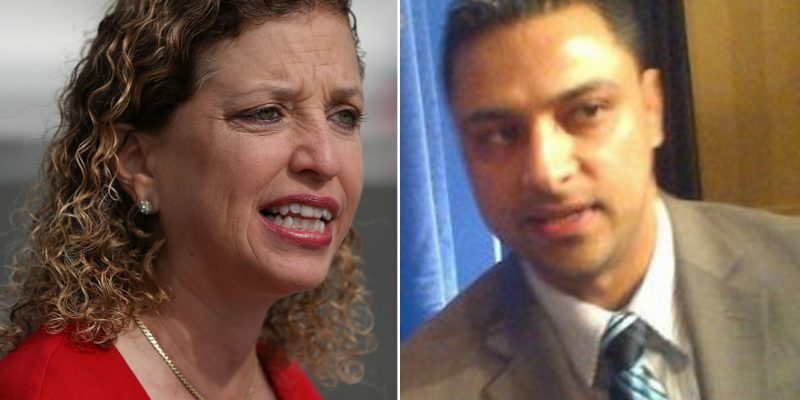 Imran Awan, the former long-time staffer of Congresswoman Debbie Wasserman Schultz, D-Fla., and other congressional Democrats – pled guilty Tuesday to one count of making a false statement on a home equity loan. Which is ridiculous. He was caught leaking confidential information from the servers of Congress to foreign agents. The U.S. Attorney’s Office for the District of Columbia issued a press release about Awan’s plea agreement that excluded any mention of his IT work for Congressional Democrats, including Wasserman Schultz. The headline: “Virginia Man Pleads Guilty to Making False Statement on Application for Home Equity Loan,” indicates the DOJ is covering up one of the worst scandals in American history. Frank Miniter, whose new book, “Spies in Congress,”details the alleged spy ring believed to be led by Awan that may have been operating in the offices of more than 40 Democratic members of Congress. “If not for my extensive research on this case, I might have assumed the government just couldn’t find enough evidence to make a solid case against Awan on more serious charges than bank fraud. Awan’s is scheduled to be sentenced Aug. 21, with the possibility of no jail time. “Just like that, the Department of Justice is making an important case go away as if nothing much happened,” Minter says. Awan’s wife, Hina Alvi, is having all charges against her dismissed as part of the agreement. But, what about the theft of government equipment? One of Awan’s former tenants, a retired U.S. Marine, found in Awan’s property, and turned over to authorities several computers and smart phones with government markings on them. What about the illegal copying of Democratic members of Congress’ emails? No charges have been filed against Awan for these alleged thefts, possible espionage and for providing false information (an image of the Democratic House Caucus computer server) to Capitol Police.